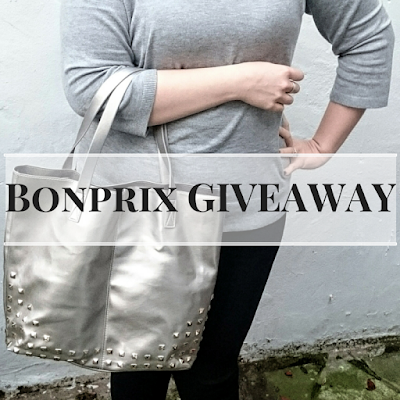 To celebrate Christmas eve I've teamed up Bonprix and joined in with their advent calendar! First up I stood in the freezing cold to get these pics, so as you might be able to tell, I couldn't wait to get back inside! 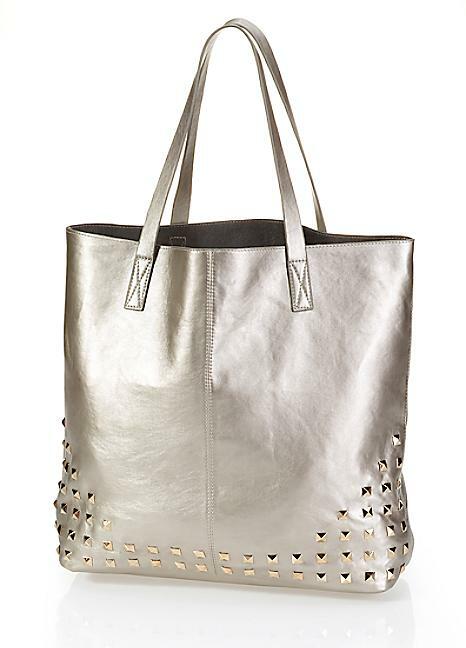 However, I adore this bag! I've been using mine for a few weeks now and it's become a bit of a staple. It's large size means I can carry everything I need and stay stylish. I'm a total sucker for a bit of metallic and I love the fold studs that detail the bottom edge. Inside you'll find a lovely soft grey interior, perfect for popping in your diary! So do you feel like getting your hands on one of these? Of course you do! This contest ends at midnight on 24th December and I'll announce the winner on Christmas day. Prize is supplied by Bonprix, your details will be passed on to the company. So get tweeting, good luck & Merry Christmas!